Hello, hello! I meant to post the recipe for these patatas bravas last week, but my parents were visiting San Francisco and I was having way too much fun showing them around. We explored every nook and cranny of my new city, ate some delicious meals, and survived a heat wave (yes, over 80 degrees is considered a heat wave here). They even got to experience a minor earthquake while I was still fast asleep, making it a true San Francisco experience. It was a wonderful visit and I’m already looking forward to them returning. I mentioned in my last post that I would be sharing a series of my favorite Spanish dishes with you. 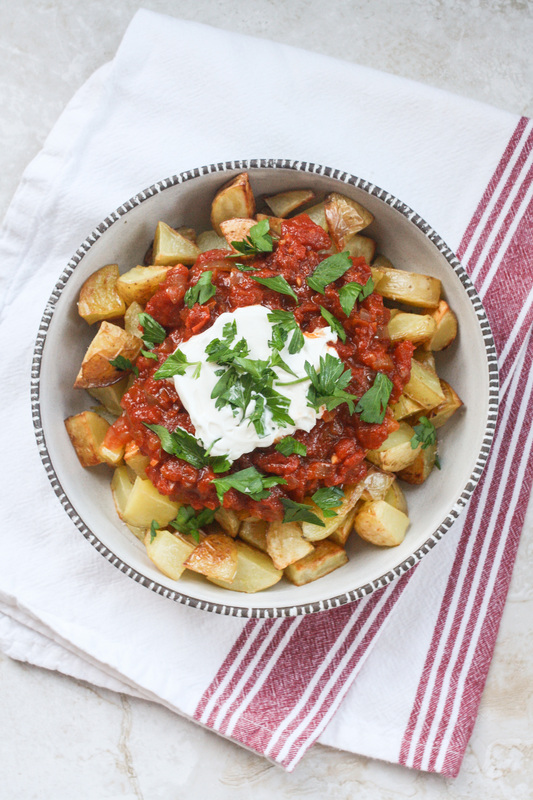 This week’s recipe is for patatas bravas, which literally translates into “brave potatoes”. These crisp, salty potatoes get their brave status from a spicy tomato sauce, which, I should warn, is not for the faint of heart. This is by far my favorite potato dish when I go to a Spanish restaurant, so I wanted to recreate it at home for whenever a craving strikes. 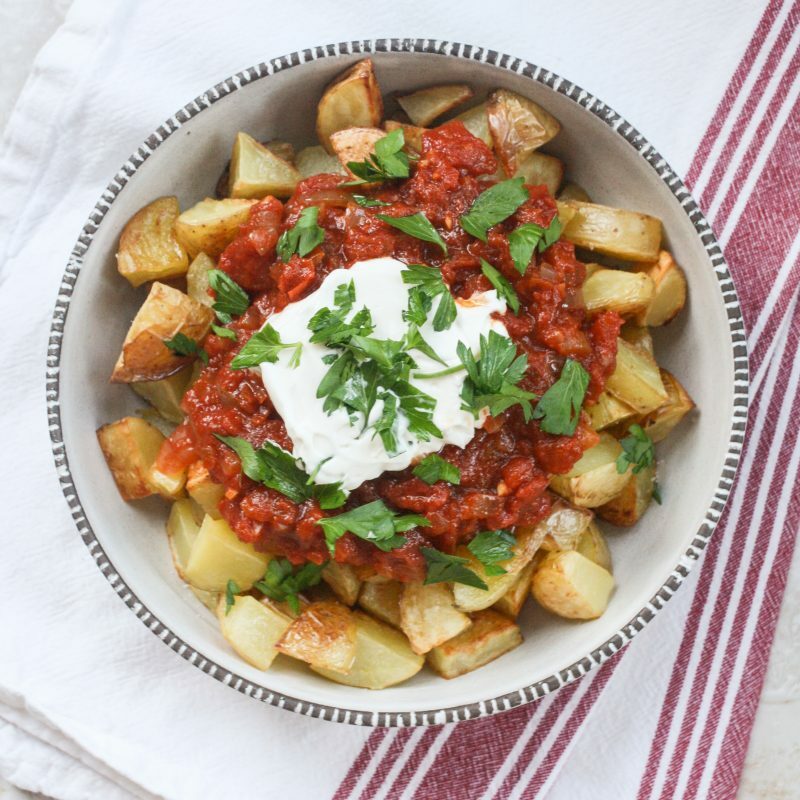 As I researched ideas for how to make patatas bravas at home, I realized that there seem to be a lot of different versions out there. Some of the sauces looked completely smooth, while others had chunky tomatoes in them; some were topped with mayo or garlic aioli, while others had nothing but the tomato sauce. I even saw that a Spanish commenter on a recipe website uses ketchup in her sauce. Paprika was another differentiator: some recipes called for sweet paprika, some for hot paprika, some for smoked…it all ended up being a bit overwhelming. I think, like any recipe, it comes down to personal preference. 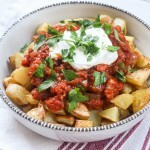 This is my interpretation of patatas bravas, which I hope is similar to what you’d find in Spain. What I do know is that my husband gave it the seal of approval, which I’m taking as a good sign since he’s half-Spanish. Just like my recipe for the Indian potato dish Aloo Gobi, I’ve roasted the potatoes here rather than frying them. Not only does this avoid the mess of potatoes sticking to the skillet, but it’s also healthier and cheaper. Plus, I think roasting potatoes allows them to crisp up so beautifully. 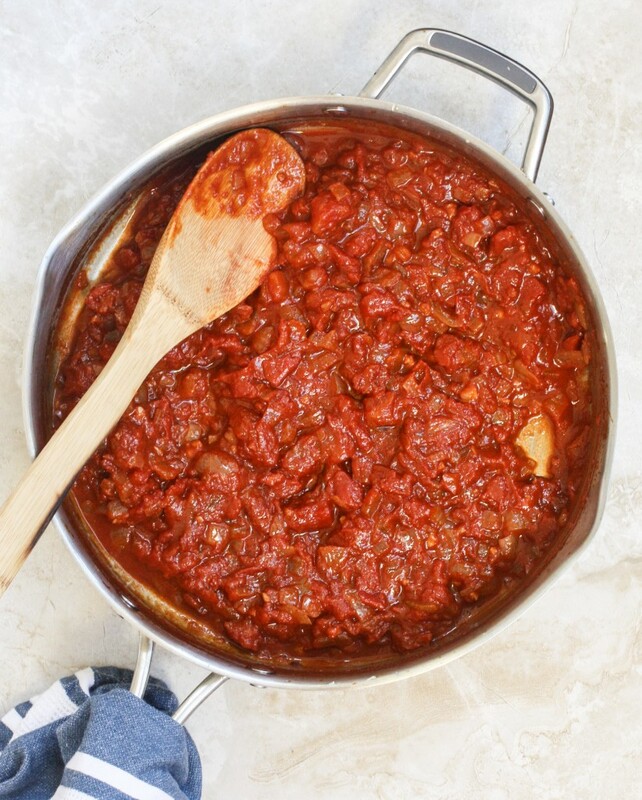 While the potatoes are roasting, the tomato sauce simmers away on the stovetop, ready to drench the potatoes as soon as they come out of the oven. A small dollop of mayo mellows out that brave sauce, and there you have it: perfectly golden potatoes with a spicy, smoky, slightly sweet sauce, ready for you to devour. Although most often this is a side dish, I’ve happily eaten it as a main with a green salad on the side. Once you start eating it, you might want it to be your main dish too. Add the chopped potatoes to a large baking sheet. Drizzle with olive oil and season with salt. Roast the potatoes for 40-50 minutes, flipping them halfway through. In the meantime, prepare the tomato sauce. Add the olive oil and onion to a large pan and cook over medium heat for about five minutes. Add the garlic and cook for about one more minute, stirring often. Add all of the remaining ingredients to the pan and increase the heat. Let the sauce bubble for about 10 minutes, stirring often, and then reduce the heat to allow the sauce to simmer. Once the potatoes have reached a desired crispness, add them to a large bowl. 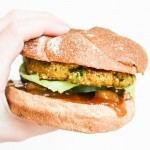 Pour the tomato sauce over the potatoes, and garnish with a dollop of mayonnaise or aioli and some chopped parsley. Serve immediately. -Afraid of the spice level? Start with 1/4 teaspoon of cayenne and work your way up until you reach your desired level of spice. 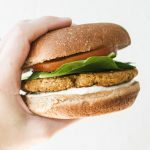 -Want to keep the dish vegan? 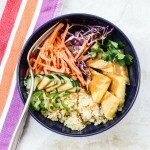 I recently started using Vegenaise at home and absolutely love it with this dish. 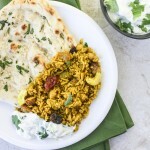 -Recipe loosely adapted from BBC Good Food. The potatas bravas that we enjoyed at Contigo were scrumptious, and I fully expect that your adaptation will be equally crisp and fiery! I’m glad that your recipe asks for baked potato chunks instead of fried. 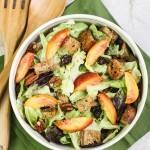 Much easier and healthier and equally tasty. I applaud your venture in Spanish cuisine, Julia. The Catalan spinach was amazing and I expect this dish will be a treat too! 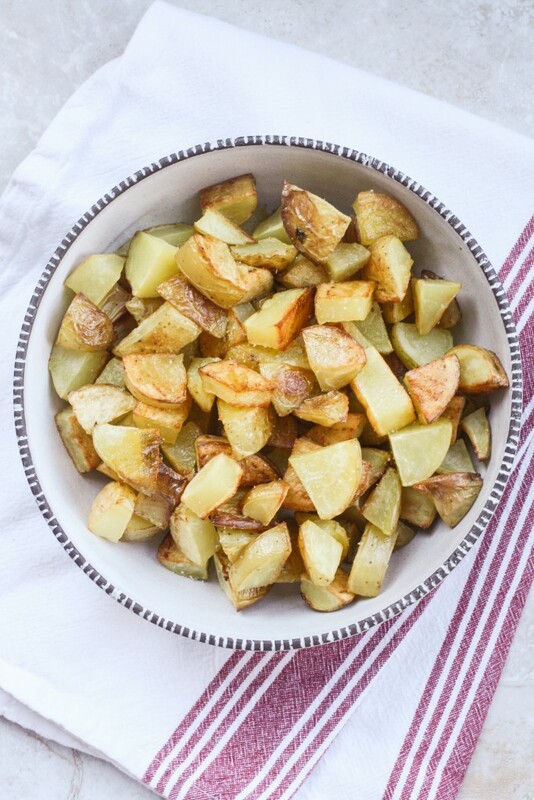 Being a lover of potatoes, I think you’ll really enjoy this dish! I’m so glad we were able to take you to Contigo for dinner…I dream of their patatas bravas! I feel like I’m on a food vacation via Orchard Street Kitchen! I appreciate this series, Julia, because Spanish cuisine is something I’m unfamiliar with. I love this recipe. Sweet, smoky, spicy… Then there’s the textures! Creamy potatoes, silky tomatoes. I can see how this would be a fabulous main! The farm is abundant in these ingredients now too, so I’ll have to get this on the menu ASAP! Thank you for this Julia! Hehe, you’re too sweet Traci! I love the vacation comment…a vacation in Spain right now sounds nice, doesn’t it? I think you’d really enjoy this dish – it’s one of the most popular items at tapas restaurants! It was so nice that you could take the time away to visit and show us your beautiful new stomping grounds. We can now visualize the new Orchard Street kitchen, too, which is nice as we read each new post. 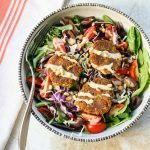 Oh yes, I think you and mom would like the full amount of cayenne in this recipe! It’s not painfully hot, but it does help clear the sinuses. I’m glad I got to show you two my stomping grounds – including Contigo! Oh yes, patatas bravas are a must on the Spanish veg line-up. We had the best ones ever at a tiny low-key tapas lounge in Barcelona once that I will never forget. I remember how deliciously smoky they were too so I love that you’re using smoked paprika here. Haven’t made them at home though yet but these look wonderful and may just tempt me! That tapas lounge sounds amazing, Katie! I’m itching to get back to Barcelona – too bad I moved 4 hours farther from Europe, though! And I’m glad you’re a fan of smoked paprika too. I’m hoping other readers will be able to track it down, because I think it’s even more delicious than regular paprika. Thanks, Ana! I’m so glad you like the dish. 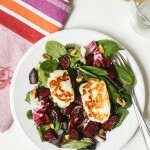 I love Spanish culture and am having so much fun working on Spanish recipes lately! I’ve never heard of patatas brava, Julia. But I really like the idea of crispy potatoes with a fiery tomato sauce. I’m glad you left a note about the spice level – I’m not a huge spice person so will probably have to tone it down a bit. Definitely looking forward to trying this, Julia! Hi Geraldine! I remember that you’re not too into spicy foods, so I definitely think you should do a small pinch of cayenne instead of the full amount. I hope you still like it, though! They look delicious…could you serve them with sour cream instead of mayonnaise. Hi Jamie! Yes, I think sour cream would taste great with this! Oh dear, yes, the true SF experience. Thank goodness it was a minor quake… and let’s keep it that way. How great that your parents came out Julia — the weather sure cooperated for their visit (hopefully it was not too hot). Did you make down to fisherman’s wharf/embarcadero? So many great little foodie shops in there, many local. Well, must say, there is nothing about this recipe that doesn’t appeal to every one of my senses :p my biggest challenge would be not eating vats worth 🙂 paprika and cayenne…. oh boy, love it! Our boys would be equally attracted… looking forward to trying another one of your Spanish delights Julia. Kelly, the city was scorching hot that weekend! I think at one point it got up to 90 in Noe Valley, where we live. My parents had packed tons of sweaters and jackets, and were completely unprepared for the heat! I have to say that the famous line, “the coldest winter I ever spent was a summer in San Francisco” really has not rung true for me yet…;) I hope you and your sons enjoy the dish, Kelly! Crispy potatoes, lots of flavor, easy…what’s not to like!? This Irish girl is also a big fan of potatoes! 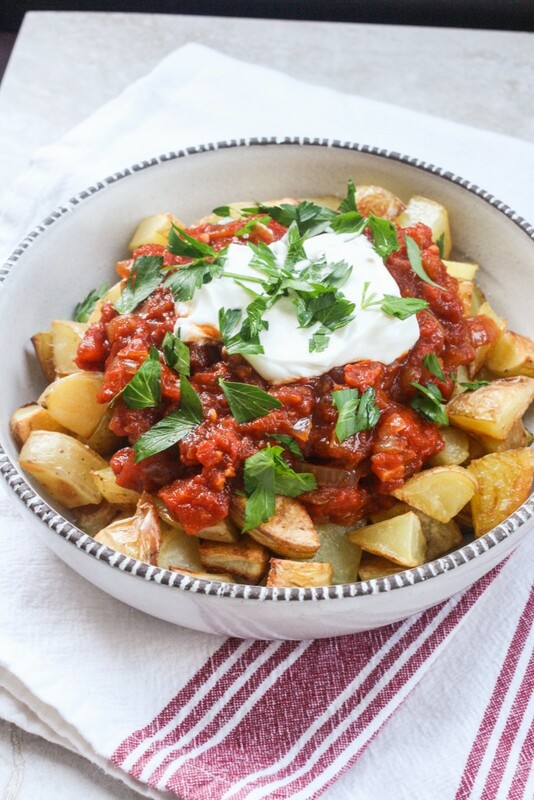 I’m so glad you like patatas bravas too – you can’t go wrong with a spicy tomato sauce! How fun that your parents came to visit!! Also, I want to live somewhere where 80 degrees is a heatwave, lol! 80 degrees is sweatshirt weather here 🙂 I’m obsessed with potatoes and am always looking for new ways to use them so I love this dish!! I’m not sure how you handle summer in Arizona, Izzy! I probably would never venture outside! I think you’ll really enjoy this dish – let me know if you try it out! I’ve been longing to go to Spain for years, and I’m enjoying a culinary preview with all of your delicious Spanish-inspired recipes! How lovely that your parents came to visit too! Patatas Bravas with Netflix sounds like the perfect combination! 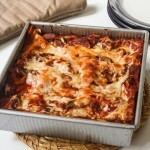 Let me know what you thought of the recipe, Lynn – and thanks for visiting! I’m of the belief that patatas bravas should be their own food group. 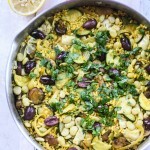 Love this recipe and the fact that now I can have a little bit of Spain (one of my favorite countries) in my kitchen. Oh yes, I would definitely be fine with a patatas bravas food group! Hope you enjoy the recipe! Can I just mention that the translation of brava is not brave in this instance it’s fierce, spicy, agressive which relates to the spicy sauce over the potatoes. Thanks for the explanation, Charlene. Words cannot describe how good this recipy turned out! Thank you, thank you, thank you!! !